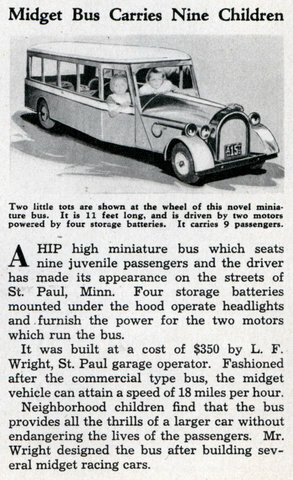 A HIP high miniature bus which seats nine juvenile passengers and the driver has made its appearance on the streets of St. Paul, Minn. Four storage batteries mounted under the hood operate headlights and furnish the power for the two motors which run the bus. 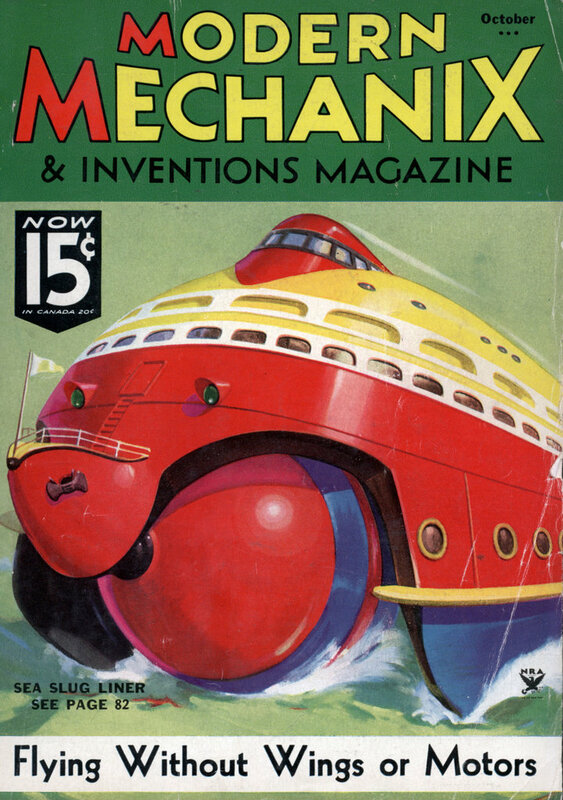 It was built at a cost of $350 by L. F. Wright, St. Paul garage operator. 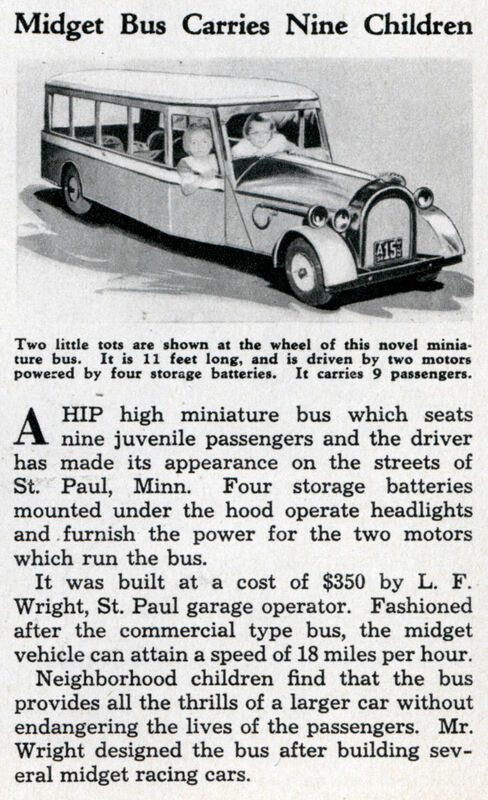 Fashioned after the commercial type bus, the midget vehicle can attain a speed of 18 miles per hour. Neighborhood children find that the bus provides all the thrills of a larger car without endangering the lives of the passengers. Mr. Wright designed the bus after building several midget racing cars.